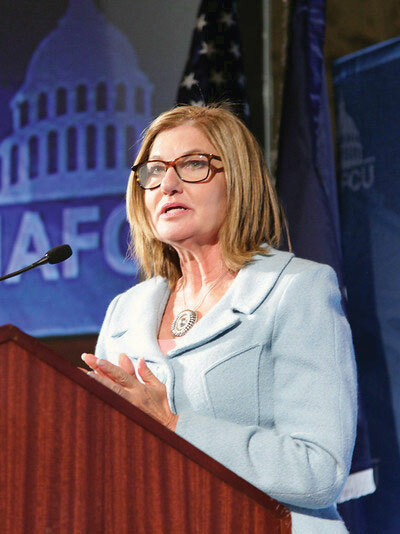 WASHINGTON Saying that her goal is to target risky behaviors in credit unions, not credit unions themselves, NCUA Chairman Debbie Matz on Sept. 19 announced that the agency will beef up certain safety and soundness regulations but ease up on others. NCUA Chairman Debbie Matz said the agency plans to add new regulations while streamlining others in its efforts to improve its supervision of credit unions. WASHINGTON — Saying that her goal is to “target risky behaviors in credit unions, not credit unions themselves,” NCUA Chairman Debbie Matz on Sept. 19 announced that the agency will beef up certain safety and soundness regulations but ease up on others.